Home > I o T > Your home may be smart, but is it secure? No one will argue that the Internet of Things (IoT) is the buzzword in today’s internet driven world. From connected light bulbs to smart fridges and coffee machines, the IoT phenomenon is promising to change our lives in ways that weren’t imaginable a few years back. However, in tandem with becoming smarter, our homes are also becoming less secure, and the billions of devices that are being added to our hyper-connected world every year are creating countless new possibilities and attack vectors for hackers with malicious intents. 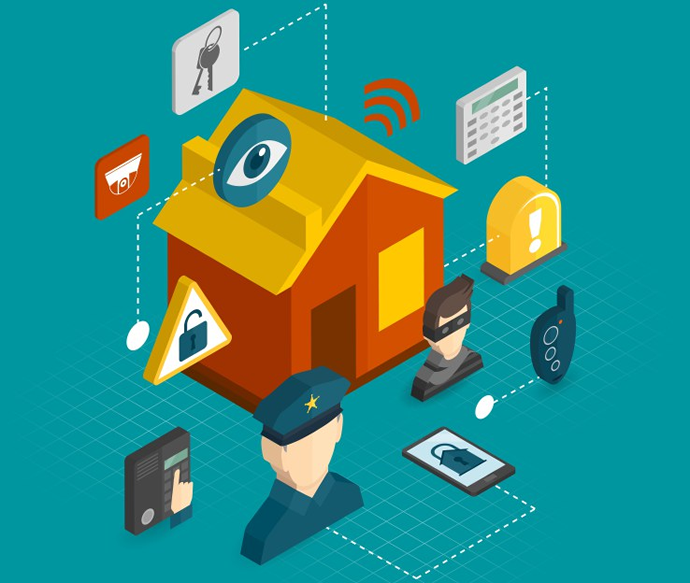 As the IoT continues its chaotic growth, security is becoming more critical than ever. Hacked baby monitors, cars that are shut down remotely and televisions that spy on you are just some of the stories that might give you the creeps and make you lose your trust in your own dishwashing machine and other home appliances. Here are a few warnings from IoT industry experts that should be considered if you already own IoT devices at home, or are planning to buy a new connected appliance. As other research led by security consulting firm SEC shows, millions of IoT products were found to use shared SSH and HTTPS keys, which make Man-in-the-Middle attacks much easier to inflict. This means more than those evil smart TVs that snoop on your watching habits and listen to your conversations. As a study by LGS Innovations points out, even when IoT devices encrypt their communications, hackers can monitor IoT network activity in your home to remotely figure out your daily habits, including the times you’re not at home (you know what happens after that). This might not directly affect your life, but it is a serious issue nonetheless. One of the most famous types of cyber attacks are Distributed Denial or Service (DDoS) attacks, in which hackers hijack a large number of devices called botnets, and use them to send countless requests to target servers in order to overload them and bring them down. In previous years such a feat could only be accomplished by compromising personal computers, which was a challenging task given that most users tend to install some sort of anti-virus or malware protection software on their PCs. However, with a host of vulnerable IoT devices at their disposal (which have no means to protect themselves), hackers no longer need to go after desktop workstations and laptops. The threats involved in the IoT industry are freakishly scary, but the goal of this article isn’t to convince you to change your mind and stick to the same, decades-old appliances you owned before. The tech community is already taking great strides to make sure more secure devices are used for the purposes they were made. F-Secure in particular will soon be shipping the SENSE box, which will be addressing the very issues raised in here. The point is, you need to assess the risks, identify the weaknesses and plug the holes that cyber criminals might use to turn your dream home into a nightmare.